Mastering renal failure takes time, but this stripped down advice from practicing nurses makes it easy. Nurses see clients on every shift that have renal insufficiency, so we need to consider it every time we either give a medication, send clients for diagnostic testing, provide IV fluids, or develop a care plan. This is one area of nursing that is key to providing safe care. In fact, many clients develop renal failure as a result of hospital care. So why is ARF such a huge part of nursing practice? Since acute renal failure is a common complication for hospitalized patients and causes a cascade of effects that can be tracked by clinical findings including lab work, it can often be prevented! As a urology nurse, I recall a provider telling me that as soon as we are born we begin to lose kidney function, kind of like wear-and-tear for car tires. I understood the point. It’s normal for function in a healthy kidney to decline with age–slowly–over many decades. If we take good care of our kidneys, they will function well. Read more about age-related kidney changes here. With advanced healthcare, the percentage of those living later in life with one or more chronic conditions has been on the rise. So, chronic renal insufficiency, end-stage renal disease, or acute kidney failure make up a large workload for nurses in every healthcare setting. A client with chronic renal disease is at risk for kidney shutdown when given IV fluid too rapidly. A client with normal age-related changes may develop acute renal failure after receiving IV contrast for a CT scan. Learn more about IV fluid management with our Podcast. Understanding basics about kidney anatomy is super helpful for mastering renal failure types. Determining the type of failure is directly connected to how it’s treated. A kidney is similar to any filtering system. Blood flows into each kidney by way of large renal arteries and travels through a series of smaller and smaller vessels creating pressure. This presses blood through the “filter” called a glomerulus (one of the hardest words you will every pronounce in your nursing travels!). 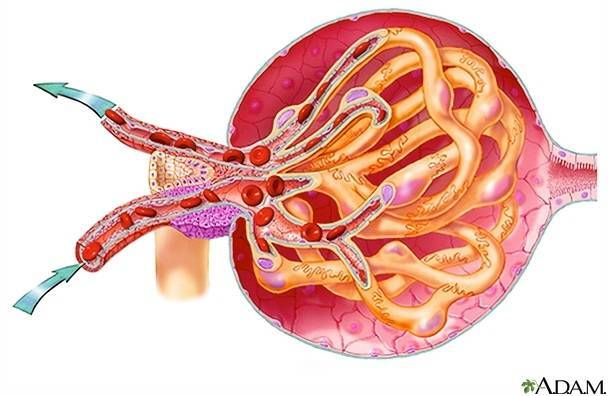 Each glomerulus is surrounded by capillaries. It’s a bit like making coffee, right? The rate at which blood is filtered is the glomerular filtration rate, or GFR. Now you don’t have to know GFR for passing the NCLEX, but you must memorize normal values for two other kidney markers: BUN and Creatinine–will talk more about those later on! At the cellular level, blood entering the kidney passes by membranes that allow the exchange of electrolytes and waste products, which are converted to urine. This an over simplified view, but it’s all you need to tackle the tougher concepts. Acute renal failure leads to a rapid decrease in GFR (filtering slows) which leaves waste products in the blood. Because the kidney cannot regulate ion concentration (electrolytes), the client develops metabolic acidosis–LOW pH with a LOW bicarb. Early renal failure may include signs of compensation. Renal vessels constrict and the renin/aldosterone/angiotensin system is activated. This causes ADH to resorb water and sodium. Each phase of renal failure has different signs. Identifying the phase is a starting point. Always identify if there is oliguria or diuresis by checking output and urine specific gravity (urine concentration). Expert Tip: During diuresis urine is very dilute, with great electrolyte losses and falling BUN. This is why providers rely more often on creatinine to determine current renal status, and why BUN can change depending on fluid status. Regardless of which phase you find a patient in, watch for deterioration before acidosis occurs, and check for elevated urine protein, which indicates kidney damage. Large proteins abnormally leak into the urine. Sustained damage is called acute tubular necrosis. Determine what type of failure the client has…choose from 3 possibilities. The goal is to prevent or treat electrolyte and fluid imbalance. Picture kidney anatomy and a problem that affects blood supply into the kidney. Think of a garden hose being pinched off before it reaches the sprinkler. A problem occurs before blood is filtered and waste is removed, causing serious and sudden complications. It often occurs from hypovolemic shock. Takeaway: be alert for potential causes of decreased renal blood flow, recognize clinical signs, and provide support before failure progresses. This is the most common type of renal failure for acutely ill clients, and in most cases, is reversible or preventable. Since the problem is outside of the kidney itself, nephrons, individual kidney cells, will still function once blood flow is restored. However, remember if the client already has chronic renal disease, the kidney may not “bounce back” as it would in a previous healthy client. It’s important to determine whether the kidney is still functioning by looking at urine sodium. Urine sodium tends to be low when there is a pre-renal cause because the functioning kidney tries to compensate by retaining sodium. The provider may order a fluid challenge (bolus), which is appropriate if the suspected cause is fluid loss. If the kidney is failing, sodium excretion increases. Determine the phase. For oliguria, forcing large amounts of fluid will just further stress the kidney. Expect low-dose dopamine–at low doses, dopamine increases renal vasodilation. Studies disagree whether this can reverse renal failure, however the patient benefits from an increase in mean arterial pressure (MAP). The goal is to optimize kidney function and prevent further damage. For chronic disease, hypertension is usually present – this worsens as damage worsens over 10–15 years or longer. Severe chronic disease can result in dialysis for ESRD resulting in anuria (define as less than 100 mL /day). Urine studies often reveal red blood cell casts, proteinuria, and hematuria. A 24-hour urine test for protein helps diagnosis. Expert Tip: It is possible to have “acute-on-chronic” renal failure. When you hear this term it means a client with an already stressed kidney has an additional insult compounding the problem. Address the acute cause. The goal is to restore outflow asap. This type is the easiest for nurses to understand since nurses manage urine output for so many client populations. When the kidney functions adequately, urine is produced, and needs to exit the body. Post-renal problems mean a blockage of urine trying to exit the body. This results in hydronephrosis–urine backing up into the ureters and kidney. This type is also the easiest to correct in most cases, but may require surgery. Obstruction may occur simply from a blocked catheter, so output assessment is a priority for clients with urinary diversion. There are 2 main “exits” from the kidney where post-renal obstruction occurs. The most common site is the ureter. The other “exit” is the renal vein, and blockage is quite rare. Obstructive ARF occurs either intrinsically (inside the kidney itself), or extrinsically (outside). Common intrinsic causes are kidney stones, blood clots, tumors, hypotonic (flaccid) bladder, anatomical problems (stricture), and inflammation. The second type of obstructive ARF is extrinsic–outside the system including structures which compress the ureter. An enlarged prostate is commonly the cause. Classic signs of obstructive post-renal failure is sudden onset anuria or marked fluctuation of urine volume. Symptoms are often intermittent but noticeable–the typical complaint is a change in urine stream or difficulty starting the urine stream. Depending on the cause signs include flank pain, dysuria, nausea, and urge to void. Urine backing up into the kidney leads to lethargy, especially in the older client. Prolonged obstruction is a medical emergency. Focus on a solution that rapidly restores the exit of urine from the system. In many cases this involves temporary catheter insertion. Monitor blood LYTES. Kidney function affects serum K+, Ca+, Phos, and Na+. Remember that worsening kidney function is defined by decreased rate of filtration. Clients may have oliguria but they often have large amounts of dilute urine because the kidneys are not doing their job removing electrolytes and waste. For clients at-risk for FVE, administer medications in the smallest volume possible. Clients with severe kidney disease is not likely to respond to diuretics or may suffer damage from these drugs. Signs of chronic renal disease are non-specific–meaning many conditions can cause the same symptoms. Always evaluate kidney function for all older clients. Clients with ARF should avoid antacids with Mg because the kidneys have difficulty excreting Mg. 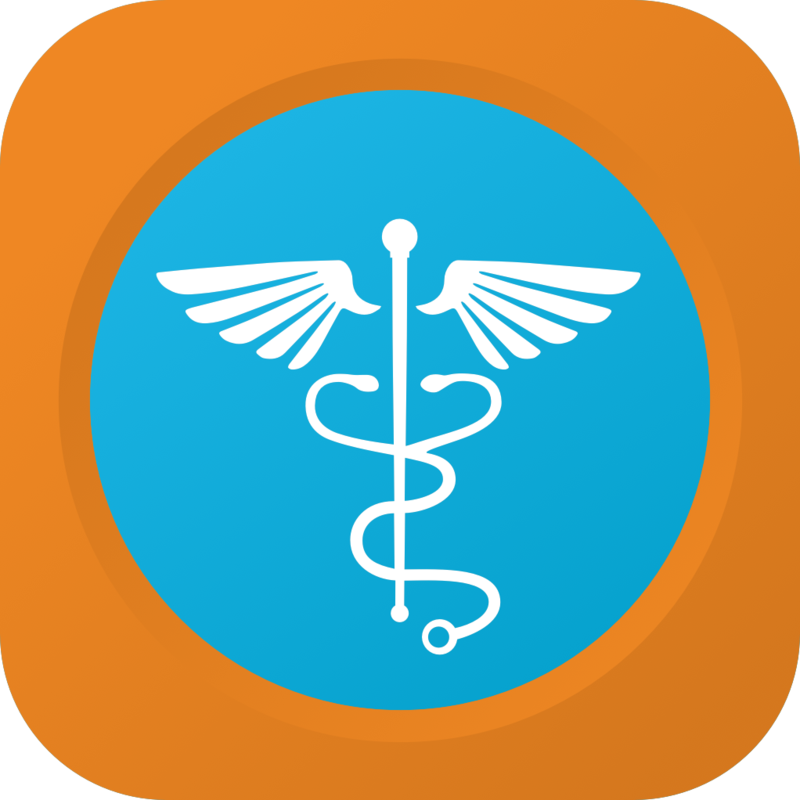 Increased respiratory rate is an early sign of fluid overload–don’t forget to count RR when doing VS.
For more expect advice, check out the Nursing Clinical Mastery app or Free Nursing and NCLEX Mastery Podcasts on iTunesand where ever Podcasts are found. Very welcome! The world needs more renal nurses!